Provide comfort for the family of Bert Hungerford with a meaningful gesture of sympathy. Bert Hungerford, 92, of Mansfield and formerly of Andrews, passed away on Thursday, April 4, 2019 in Mansfield. Family and friends will gather to celebrate his life at 3:00 PM Saturday, April 13, 2019 at McNett Funeral Home Chapel in Andrews with Pastor Kevin Covington officiating. Interment will follow in the Andrews Old Cemetery. The family will receive friends from 6 – 8 PM on Friday at McNett Funeral Home. 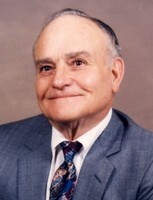 Please visit www.mcnettfuneralhome.com for obituary information, and visitation and service details. Bert was born on March 8, 1927 in Fisher County, Texas to Paul Henry Hungerford and Ethel Lillian Finley Hungerford. He served in the U.S. Navy during WWII. He married Martha Lea Riley on May 31, 1947 in Brownfield. They moved to Andrews from Brownfield in 1965. He had been a minister at the First Baptist Church in Frankel City and Trinity Baptist Church in Andrews. He was a lay minister and enjoyed his calling to serve others. He truly believed in God, Country, and Family. He had owned and operated Bert’s Garage in Andrews until his retirement. They moved to Mansfield to be closer to family. He enjoyed fishing and spending time with his family. He was a past member of the Second Baptist Church in Andrews and current member of Hillcrest Baptist Church in Cedar Hill. He was preceded in death by his parents, 7 brothers, Charles, Joe, Tommy, A.B, Harold, Jack, and Bob Hungerford, and 3 sisters, Pauline Gentry, Doris Day, and Helen Moore. Bert is survived by his wife, Martha Hungerford of Mansfield, 3 children, Linda Carruth of Lampasas, Kathryn Mounce and husband, Michael, of Mansfield, and Debbie Brevard and husband, Vic, of New Braunfels, 3 brothers, Paul Hungerford of Levelland, Howard Hungerford of Mineral Wells, and Gene Hungerford of Hemphill, 7 grandchildren, 17 great grandchildren, and 3 great great grandchildren. Memorials may be sent to the Alzheimer’s Association, 3001 Knox Street, Suite #200, Dallas, Texas 75205 or www.alz.org. 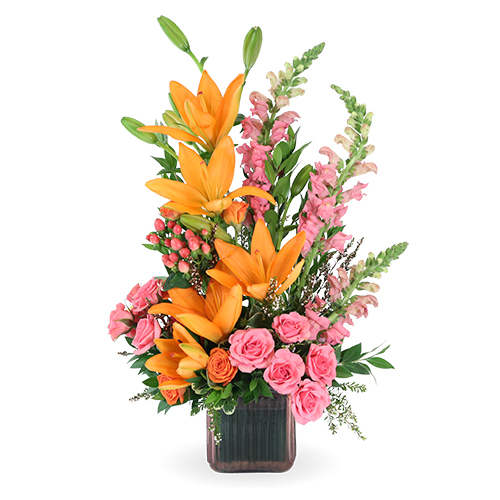 To send flowers in memory of Bert Hungerford, please visit our Heartfelt Sympathies Store. The family will receive friends from 6 – 8 PM on Friday at McNett Funeral Home. We encourage you to share your most beloved memories of Bert Hungerford here, so that the family and other loved ones can always see it. You can upload cherished photographs, or share your favorite stories, and can even comment on those shared by others. Richard and Robert Corley Families and Paul, Diane, Lisa, Mike & Celeste have sent flowers to the family of Bert Hungerford. Our heart felt sympathy for your loss. His is called the greatest generation for good reason. He devoted himself to the lord and his loving family. Richard and Robert Corley Families purchased flowers for the family of Bert Hungerford. Our deepest sympathy, Debbie. What a blessing to have had such a wonderful father. We love you. 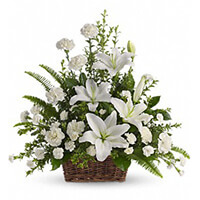 Paul, Diane, Lisa, Mike & Celeste purchased the Peaceful White Lilies Basket for the family of Bert Hungerford.